The skin is the largest living-breathing organ in the human body. The hands and feet have generous layers of skin, but the thinnest layers of the skin are the lips and eyes. Many make-up products are made for the eyes and lips. Therefore, it makes sense to use a natural moisturising make up remover like coconut oil. A little goes a long way so start with a small amount of coconut oil and smother this all over the areas of the face and/or body where you want to remove the make up. Coconut oil is also an effective powder and foundation remover. 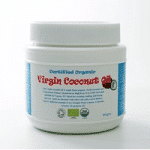 Coconut oil is a saturated fat. This means that it is solid at room temperature, but when it encounters the skin, it melts on contact. Therefore, coconut oil for make up removal makes sense, as it glides onto the skin like magic picking up dirt and debris and holding onto it until its removed with a cotton pad or hot washcloth. If you prefer the oil cleansing method to remove make up you can do this with coconut oil. Add a small amount to the face, lips, and eyes, wait for several minutes, and then rinse a flannel or muslin cloth in boiling hot water and gently remove the make up. This method gently opens the pores removing the make up and any dirt that has collected throughout the day. Notice how your skin looks afterward. It will look pink and healthy. This is evidence of a healthy skin. The skin needs nothing more than a little moisture to protect itself. Sebum is a skin protector with antibacterial properties, therefore over cleansing the skin can lead to break outs. Coconut oil is an effective moisturiser to place on the skin after a bath or shower, however; only a small amount is required. Using coconut oil for make up removal can also be accomplished by rinsing away the coconut oil with simple warm water. Coconut oil for make up removal is especially moisturising for the eye area. It is best to use a cotton pad rinsed in hot water to remove the coconut oil. The same goes for the tender lips that have only four layers of skin and are prone to chapping and dryness. Healthy lips are moisturised, soft, and supple. What is most effective about the oil cleansing method for make up removal is that the cloth acts as a gentle exfoliant. This is effective for dry skins. Coconut oil for make up removal is one of the most gentle of ways to remove chemical-based make up. Apply a thin layer to the eyes, lips, and face and remove with a wet cotton pad or hot washcloth. 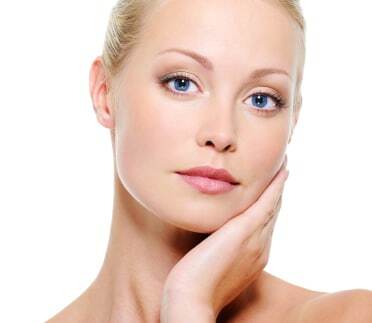 Over time, you may notice that your skin looks healthier. Remember, the skin is a living-breathing organ. It thrives on fresh air, effective nutrition from food and beverages, and nourishing ingredients in skincare. It does not need much else.